Building a fundamentally sustainable economy. For the first time in our history, we have begun to cross the safe boundaries within which the world operates. These boundaries include climate change, biodiversity, land use and the availability of essential resources. Protecting them is essential for our survival. The structure of the global economy, which demands constant, linear growth, is at the root of what is driving many of our social and environmental challenges. Though it continues to generate value and prosperity, it does so at the expense of an increasing socio-economic divide and contributes to the destruction of natural capital that is essential for its own continuation. Metabolic’s overarching mission is to transition the global economy to a fundamentally sustainable state. We believe we have the tools that, if harnessed correctly, can be used to create a genuinely new economy: a sustainable future that provides for the well-being of all people in a balanced and equitable way, while allowing our environmental life-support systems to thrive. A circular economy – which is broadly defined as an economy that is regenerative and waste-free by design – presents vast potential not only to eliminate negative impacts, but also to create new sources of value through the reuse of all raw materials that are currently lost in the linear “take, make, dispose” system and by extending the value-generating life cycle of products. While striving to maximize value generation from materials, we must take care that our activities do not unwittingly cause us to overstep other planetary limits. A truly circular economy is one where we maximize the value generated from resource cycles without undermining the functioning of the biosphere or the integrity of human societies. With this holistic understanding in mind, we have developed a framework of seven pillars that offers clear signposts for how to make genuine strides towards a circular economy. To achieve real progress towards this new economic model, it is clear that we need new incentive structures, new business models, and new ways of evaluating our economy to assess whether it is functioning within the safe limits of Earth’s carrying capacity. This transition remains at the core of our mission. 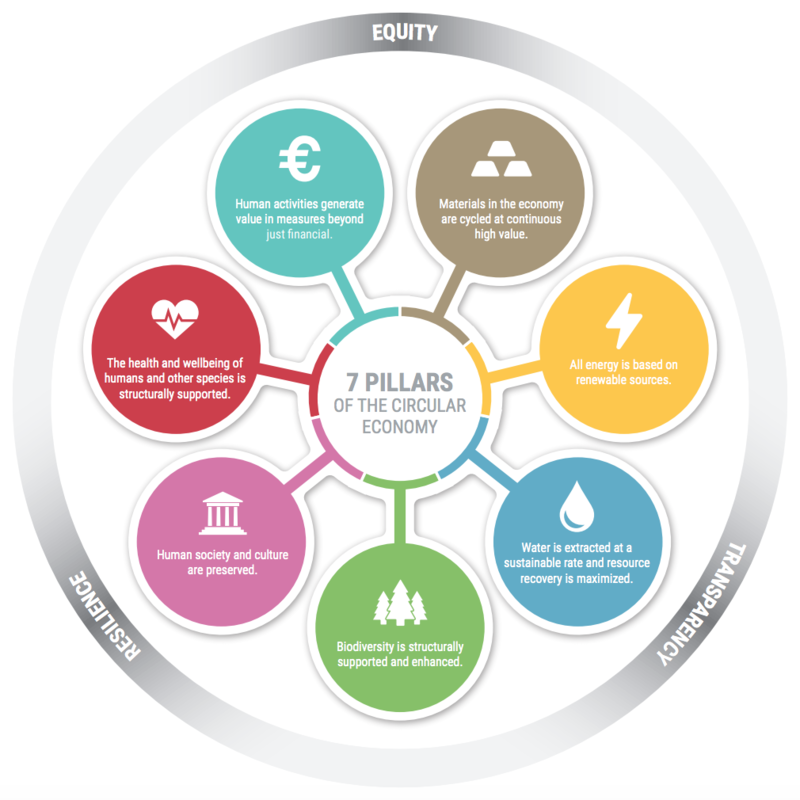 Want to learn more about the seven pillars of the circular economy?